After my post full of Gardening Tips and Links, I received quite a few inquiries for more specifics about container gardening. 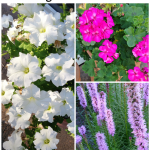 I love talking about gardening – just ask my husband: I could blather on all day long about it – so I’m happy to oblige with a mini-series of container gardening advice! Verb: Talk long-windedly without making very much sense. My own disclaimer here: I am not a “professional” gardener, nor do I have any sort of official academic degree in landscape design (I wish! ), botany (would be so cool! ), or anything in between. 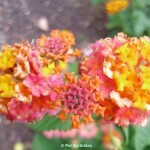 I’m just a self-taught gardener who was lucky enough to grow up with two garden-loving parents! Yes, I hated weeding as a chore when I was a kid, but honestly: who truly loves to weed? 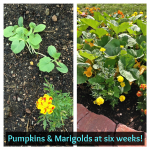 My first tip is not about watering those containers – so keep reading! You don’t have to marry your container plants, but you definitely are entering into a medium-term relationship with them. Especially if you are new to container gardening, but also true for seasoned gardeners: you need to have the commitment up front to take care of your container gardens. 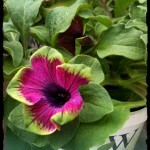 You know how it feels each Spring, you get the gardening bug as the weather begins to warm up. A visit to your local home improvement store – with their rows upon rows of gorgeous annual and perennial blooms captivating you with their colors – has you inspired to plant a few containers. Maybe you will place these containers by the front door, maybe a few on your balcony, maybe one container by your back door leading out to your patio. 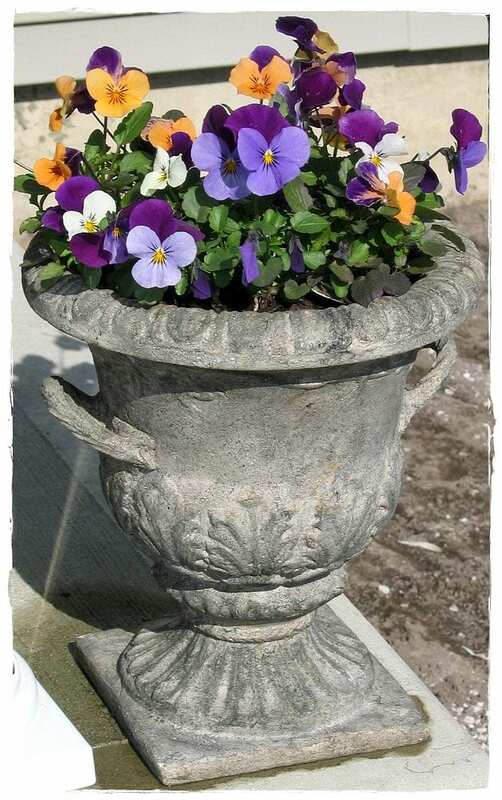 You purchase some containers, be it resin or terracotta or plastic or ceramic, and choose some wonderful plants to add some “pretty” to your home all Summer into Fall. You go home, you plant them, you are excited, you water them, you are still excited… And now I will fast forward to the middle of the Summer. Picture the heat wave, with 90+ degree temperatures, and perhaps mixed in is some lovely high humidity. Yeah, maybe I won’t water the containers today… I’ll get to it later. Maybe tonight. Tomorrow. And then before you know it… your plants are coughing, sputtering, needing to drink some water. What happened? Commitment happened, or lack thereof. 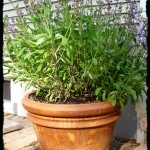 You need to realize up front that you will have some work to do to keep your container plants happy for the long haul. Don’t think of it as work – think of it as loving care. Yes, I sometimes talk to my plants. Yes, my husband – if he hears me – asks who I am talking to. Yes, he already knows the answer. No, you don’t have to talk to your plants. But you do need to remember the care your plants need, even after they become established and are blooming big and bright, or producing lots of wonderful tomatoes. Don’t get lazy, don’t slack off. It doesn’t take too much time for regular care of your container gardens, and you will be rewarded with gorgeous flowers and tasty produce! Read the labels on the plants you purchase before you purchase them. Plants that need full sun should be planted in a container that will receive full sun. Shade plants should be in shade to do their best. Perennials will bloom only for a portion of the season, while annuals are designed to bloom their little hearts out all season long. So think about where you want to place your containers and what the sun/shade aspect is like in each of those locations. Hi Becky! We originally planted this rosemary plant in our herb garden 2 yrs ago thinking it would only last until the cold weather came. After a winter filled with many snowstorms, we were shocked to see it pop back up. And this past winter (for us) was on the mild side with no real snow to speak of this year – we’re in southern New Jersey – and so this plant just kept on growing all winter long. Crazy! All we do is place our potted plants outside, but on a side of our house out of the wind each winter. 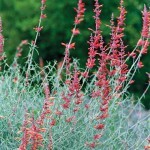 Many perennial plants – and some herbs are included in this – need to have a dormant season where they either go to sleep or at least slow way down in growth – usually the winter season. That would explain what happened to your plant, but not the one you gave to your sister. Hmmm…. PS – LOVE your potting table that you made! Love! !